Solar-powered station includes transmitter and battery inside weather-resistant shelter, 4 soil moisture sensors and 4 temperature probes. To view the data, add a wireless Vantage Pro2 console/receiver, or Weather Envoy or WeatherLink. Add up to 2 leaf wetness sensors (sold separately), to create a custom station. 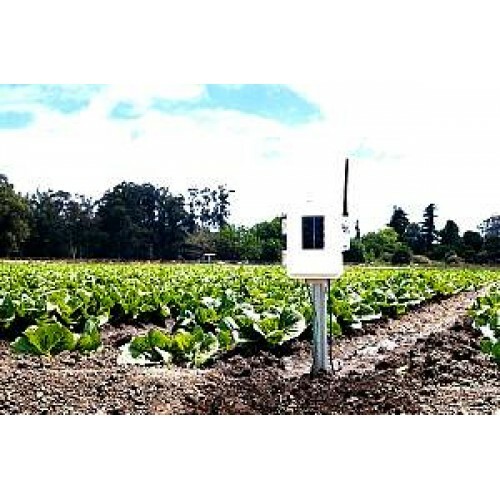 See also the Wireless Leaf Moisture/Temperature Station for Vantage Pro2 which does not include sensors.